CFP Transceiver (C form-factor pluggable) is a Multi-Source Agreement (MSA) that defines a hot-pluggable optical transceiver form factor to enable 40Gb/s and 100 Gb/s applications, including next-generation High Speed Ethernet (40GbE and 100GbE). Pluggable CFP transceivers will support the ultrahigh bandwidth requirements of data communications and telecommunication networks that form the backbone of the Internet. 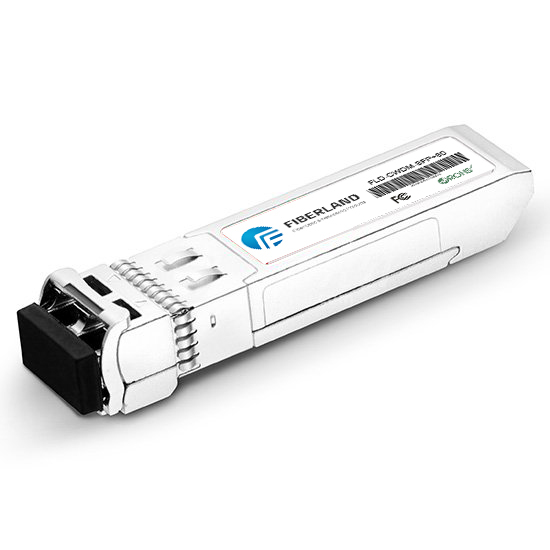 The CFP transceiver features twelve transmit and twelve receive 10Gb/s lanes to support one 100GbE port, or up to three 40GbE ports. Its larger size is suitable for the needs of single-mode optics and can easily serve multimode optics or copper as well.